Longtime Nintendo fans may remember the brutal last years of Wii, in 2010 and 2011, when third-party support had dried up and just about all Nintendo put out was Skyward Sword and Fortune Street. After today’s news, it seems like 2016 might be even worse. This morning, Nintendo announced that the next big Zelda game won’t be out in 2016 after all. The currently untitled Zelda, which was first announced for Wii U way back in 2013, will now A) release on NX as well and B) launch in 2017. Who saw that one coming? That’s a total of three Wii U games scheduled for the rest of 2016: an Olympic sports game; a JRPG so niche even JRPG fans might not care about it; and a Paper Mario game that’s hopefully more Thousand-Year Door than Sticker Star. The appeal of Zelda might have made up for this weak schedule, but after the delay, what are they going to do this fall? Try to get Watch Dogs 2? Release new skins for Minecraft? 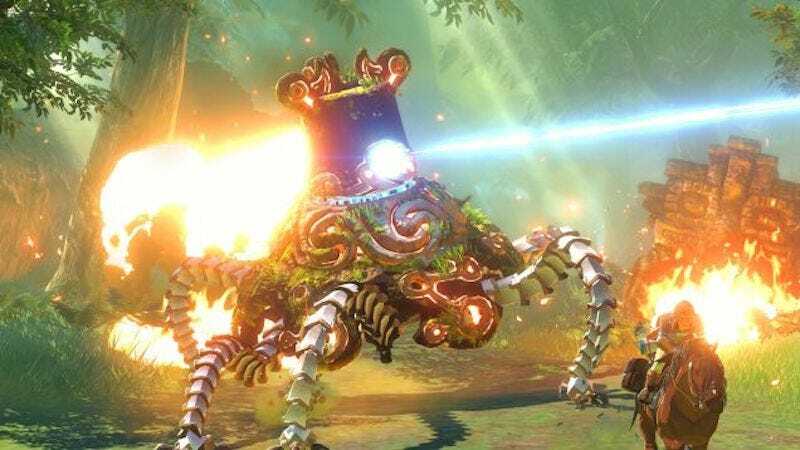 News that the 2017 Zelda will be the only playable Nintendo game at E3 raises louder alarms. Nintendo has traditionally used E3, which takes place in June, as an opportunity to showcase its lineup of holiday games. Even as the company stopped holding big press conferences in favor of pre-recorded Directs, Nintendo’s booth was always a highlight of the show, packed full of games in a variety of genres that usually drew the biggest crowds. Back in 2014, for example, it seemed like everyone had come to the LA convention center just to get their hands on the new Super Smash Bros. While this statement certainly leaves the door open for Nintendo to announce new games that aren’t playable at E3, the implications are clear: They’ve got nothing else. Even if they pull out some tricks this June—Mother 3 on Virtual Console, anyone?—the chances of a big holiday Wii U lineup are very slim. At some point in the past few years, Nintendo must have cut its losses, moving development resources from the floundering Wii U to their next-generation NX, which is full of potential. We know very little about that new system. Nintendo will likely hold a blowout event later this year in which they announce details, show off games, and tell us more about what to expect in 2017. This year, though—this year is gonna be rough. One wise move might be to use this dry period to bolster the Virtual Console and announce some sort of unified system, guaranteeing that eShop games purchased on 3DS and Wii U will transfer to NX, but that might make too much sense for Nintendo. Hey, at least they’ve still got Pokémon.